Fintech growth rate has been impeccable thus far. Arguably, 2015 has been the best year for Fintech ( defined in its broadest sense – see the Fintech Taxonomy Map) . Whether its London, New York, Hong Kong, Singapore, Sydney, Amsterdam, Johannesburg or anywhere else in the world, the Fintech growth story is consistently positive. New start-ups are coming into this market at an alarming rate. Some are well funded, whilst other are supported by an ecosystem of accelerators, incubators and investor networks. Traditional financial services players like banks, insurers and investments managers are also awakening to the surging Fintech growth rates. They are significantly increasing budgets for digital transformation, either to ward of disruption or seeing the potential for operational efficiency and better customer engagement. Investors are fueling the growth rate in Fintech. According to the Financial Times, UK technology companies raised $3.6bn in 2015, paling in comparison to the £35.7bn invested in tech companies by US venture funds in 2014. Valuations have been driven up considerably as investors chase the promise of with Lending Club achieving 30x revenue multiple through its IPO. Closer to home, through its last fundraising round, Funding Circle, the leading Peer to Business Lender, was valued at £640 or $1billion, achieving roughly a 48x multiple of turnover (£13.1 million in 2014), when it actually made a post tax loss of £19.4 million. So….. Is this a bubble in the making? If you are a Fintech firm (large or small), you would be worried about a potential devaluation of your business or subsidiary. You would also question whether growth rates of the past are still possible to achieve going forward. If you are an equity investor in Fintech, naturally you are concerned about realising promised gains on exit. So, lets try and make sense of what the future holds for Fintech. UK and US divide is stark. US has seen several high profile IPO’s, which we explore in more detail below. UK has had several high profile private fundraising rounds by Fintech firms. Apart from Worldpay, the others have not as yet followed the IPO route. To understand the trajectory of the rest of the Fintech market, its worth exploring how the pioneers fared after their IPO (here market prices are transparent). In one of UK’s biggest IPO’s Worldpay raised more than £2bn, valuing the company over £5bn. It floated at a price of 240p in October 2015 and as at 2 February 2016, the price rose to around 311p. So a great news story for UK Fintech sector. Lets go across the “pond” to see how the US firms are performing after their IPO. Lending Club has been the most prominent stock market debut in the US. In December 2014, Lending Club debuted at $15 per share, achieving a $5.4bn valuation. As at 1 February 2016, its trading at $7.60, around half its IPO share price, with a valuation of $2.78bn. Payment processing giant FirstData raised $2.6bn in its IPO in October 2015, valuing the firm at around $14bn, with a share price of $16. As at February 1st, 2016, their share price had dropped to $13.37, valuing the company today at $11.74bn. This is a recurring theme with Square, the payment processing business, that debuted at $13.06 in November 2015 and as at today, their share price is around $8.60. So a clear downward trend in US Fintech market. At home the market still seems buoyant and investors continue to place high value on Fintech growth firms. As far as the fundraising cycle is concerned, the UK seems to somewhat lag the US. The US has clearly transcended angel investor, venture capital and private equity funding, whilst UK Fintech firms are driving growth through mainly through venture capital and private equity funding. Now if we accept the the US is further down the funding track, then its safe to assume that UK may follow a similar trajectory. The start of 2016 has already seen a more cautious approach by investors, and my suspicion is that less mature Fintech firms may find it challenging to raise funding. Several have indicated their desire for an IPO, however in the near future rather than in 2016. Now, many would argue that the UK market is different; better at managing Fintech, has better government and regulatory support, and less hype compared with US. That may well be the case, however, it would be useful if there were some kind of analytical model that would help current market participants gauge how things may pan out in future. I managed to find the following model, which may help to make sense of the future evolution of Fintech. Gartner developed the “Hype Cycle” as a way to understand the trajectory of new technology. Using this as our base, we can adapt it quite plausibly to the world of Fintech. Fintech firms become oversubscribed with demand exceeding supply, as investors fear missing out on a spectacular growth strategy. Without being able to objectively value firms (because the Fintech business is still loss making), investors back high growth with the hope of a lucrative exit in the the medium term. In a yield starved environment, Fintech offers the promise of high returns. At least in the UK, massive government support and a light touch regulatory environment has helped to fuel the Fintech sector, thus reducing start-up friction. Peak of inflated expectation – The market is now well established with several high profile success stories. There is significant hype factored into the market, with a focus on “good news” stories and people blinded to risks. The pioneers utilise funds raised from investors to build their brand and market share through mass scale marketing and advertising. They receive greater institutional interest and accelerate past tier-two players. Funding at this stage comes from private equity or an IPO. Early investors who are savvy enough, exit at this point, locking in returns, whilst some prefer to adopt a more longer term strategy. New players entering at this stage, find it harder to get funded. Some investors are now starting to show concerns of high valuations achieved by the pioneers, and as we have seen in the US, IPO share prices are pitched lower than expected. With a surge in the market, regulator now start to take note and express some concerns about possible systemic risks or consumer detriment because of weak systems and controls. They review the market and look to tighten up regulation. High growth bring high risks. Without the right systems in place and supported by the right organisational culture, things can “break” during the acceleration phase. Becoming noticeable only later down the line. With Fintech growth driven on media hype, any reputational damage can knock company valuations quite significantly, especially if consumers are harmed in any way or bad players tarnish the reputation of the industry as a whole. In a disruptive world, the pioneering disruptors themselves are exposed to being disrupted by new and more nimble players, or technological innovation. For example, blockchain technology can revolutionise financial services, or RegTech (technology used to efficiently comply with regulation) can bring huge competitive advantage. A war for talent starts to put a strain on the Fintech firms, and they can’t continue to grow at the same rate. In a digital world, cyber crime is a growing threat, and Fintech firms are highly exposed to this risk. The Fintech firm is used in the chain of money laundering or terrorist financing. Weak controls allowing such illicit transactions are exposed and in turn expose the firm to regulatory sanction and reputational damage. A tightening regulatory landscape show up flaws in the systems and controls of Fintech growth firms. For example, in the UK, Peer to Peer firms are undergoing regulatory licensing process. Regulators will scrutinise their management capability and operations. Whilst firms will make it through the process, they may be required to develop additional systems and controls. The process will also take up much of management’s time, diverting their attention away from growth. Progressive firms who built strong foundations (capable management, enhanced governance arrangements, ability to anticipate threats and proactively deal with them, effective systems and controls, the right team and the right culture) may be be more resilient to gravity drag and emerge as the leaders. Slope of Enlightenment – After a significant market correction, the pendulum starts to swing back towards a more positive sentiment. The corrective phase weed out many weaker players who either fail or become subject to mergers and acquisition. Survivors build protective fortresses around their businesses, closing gaps in systems and controls and becoming more vigilant to new risks. Pioneers learn how to leverage a superior risk and compliance management capability to enhance the firm’s valuations. Investors are now much more in tune with risks and the firm’s ability to manage them. Risk are priced into valuations and firms with superior ability to manage gravity drag, receive greater investor attention. Firms now adjust to a harsher regulatory environment, and market standards and practices tighten up to align. There is hope in the market as new but more robust pioneers enter the market or the leaders start to roll out second generation products and services or start expanding beyond home borders. The market starts to rise, however, this time, without the hype. Market Equilibrium – At this stage in the game, Fintech players are mainstream players in the world of financial services. They are no longer seen as alternative finance providers or disruptors. There is now a mainstream adoption of products and services provided by Fintech growth firms. More importantly, the downward force of gravity drag is now balanced by the upward thrust of escape velocity, and the market starts to grow at a more steady and sustainable rate. The Hype Cylce has managed to weed out the hype, removed bad players and strengthened the Fintech industry as a whole. Market leaders have learnt how to enhance company valuations simply by being able to lessen gravity drag in their business. Now this model is by no means scientific, as I already alluded to above. However, it seems sufficiently plausible and something to track, as the Fintech growth trajectory continues. Perhaps the market lives up to the model, or I am proven wrong! In the next part in this series, we explore practical ways in which Fintech firms can significantly increase valuations multiples simply by reconising that a superior ability to reduce gravity drag is a valuable off balance asset that shouldn’t be underestimated. I look forward to your thoughts. Please comment below and add to this discussion, or call us on +44 203 102 6750 or fill out the contact form and we will be in touch within 24 hours – that’s a promise. I am part of a soon to launch startup company that we are categorizing as Fintach. Given the nature of our business, which is a multi-faceted international concern is to increase credit lines to “third world ” countries top-tier banks for the purpose of selling them the commodities necessary for them to improve their infrastructure, improve the quality of life and participate more effectively in the global economy. June 2018 is when we feel we might be ready to take a forward look at a range of likely returns and determine what our value would be for the purpose of raising capital and liquidity. 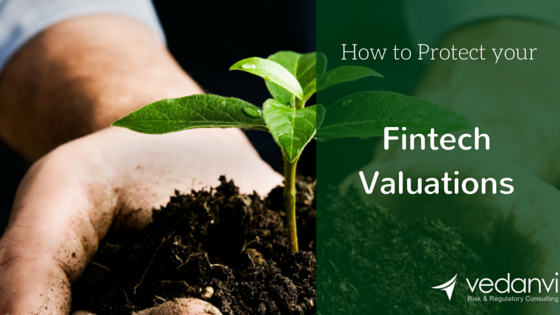 I just read your article in Fintech times; 6 ways to enhance your valuation. 1. How can I read the prior articles? 2. Does your firm perform these services? 3. Who are the leaders in the valuation of these companies? 4. What entities provide capital for the above purpose to companies like ours? My job is to become the in house go to person as well as lead contact in these matters. This means talking to professionals like you to put it together. We, as every company in this niche want our apple as big and shiny as we can get it. I would look forward to hearing about the process, and perhaps see if we would be a good fit and more! I will respond privately to your email shortly.